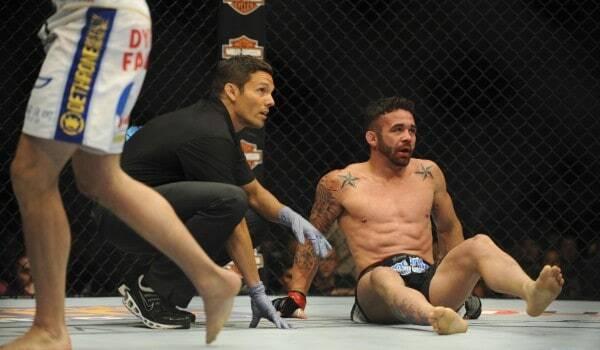 Chael Sonnen in the UFC 173 after show basically called out Jamie Varner, and said he wasn’t injured. We read your comments, it wasn’t him being sarcastic, it was his real thoughts on the entire strange situation that involved Varner flopping around the league against James Krause. 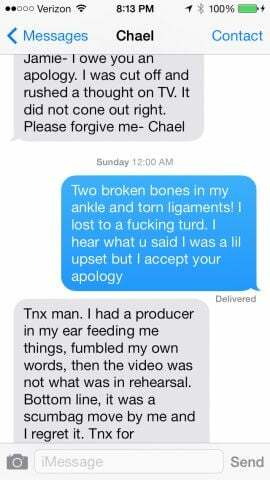 Well, Chael has atoned for his sins, and below is the apology he sent Varner, who in my opinion makes himself look bad by calling Krause, a damn solid fighter, a turd.